Keeping up with your company’s messaging, business initiatives and marketing program execution takes all your time. But you need to have expertise in emerging trends and marketing processes to stay competitive. DemandGen consultants can supplement your team’s knowledge with expertise in key areas of marketing that are emerging as game changers in the race to market differentiation. Our consultants are process experts and can help you devise and implement best practices for ABM, safety compliance, forms creation and completion, and lead management. Account-based Marketing (ABM): DemandGen provides best practices consulting and an effective ABM framework with implementation available in Marketo and Engagio, to help you derive more value from your existing account base and grow net new business in enterprise accounts. GDPR: The General Data Protection Regulation (GDPR) guidelines for data collection in the EU add complexity to your global marketing efforts. DemandGen provides best practices consulting to help you meet requirements with confidence. Along with consulting, we can implement the Preference Center and other GDPR-related functionality. Forms Strategy: Need help with forms creation and completion? 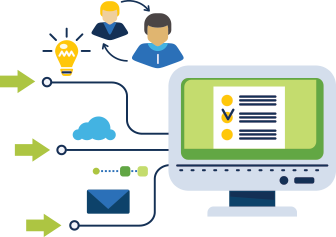 DemandGen will evaluate your existing forms and look for ways to streamline, standardize and consolidate form creation. The service is accompanied by written recommendations for how to improve your forms. Lead Flow Analysis: Lead management can always benefit from refinement. Our consultants help identify gaps in the lead flow process and related systems to optimize your overall lead management strategy and make recommendations for improving lead flow to prepare for future strategic projects.